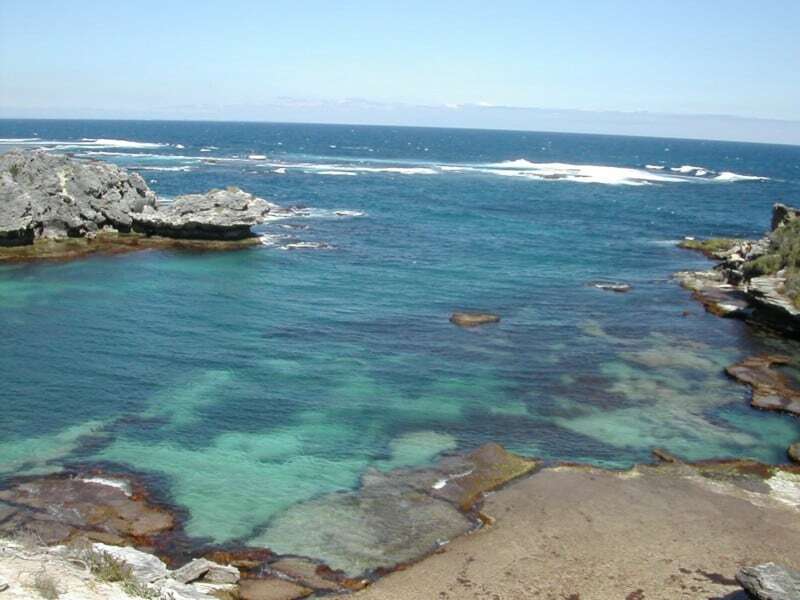 Rottnest Island is located 18 km off the coast of Western Australia. The only way to get there is by boat or plane, and there are a number of ferries which drive back and forth all day long. Private vessels are also allowed to drive there, but it’s advisable to have a boat that is reasonable sized, and to check the weather. In stormy conditions, the water can be extremely rough and dangerous for smaller boats. 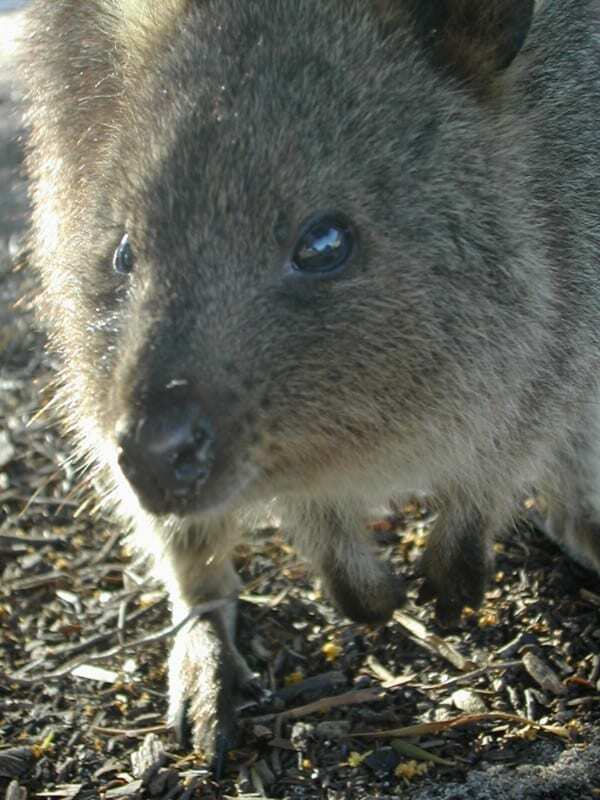 Rottnest Island is known throughout the world for the little creatures that run around everywhere, known as Quokka’s. Rottnest is home to a few locals, but is mainly a tourist destination, and for good reason. 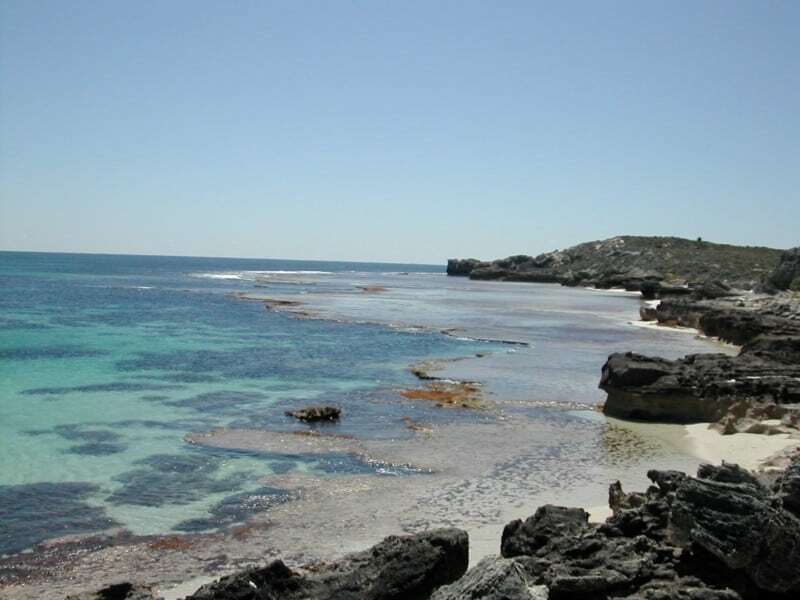 If you like Dunsborough, you will love Rottnest Island. The cheapest and most popular way to get to Rottnest Island is by a ferry. Of course, if you own a boat or have a friend with a boat that is capable of driving across to the island, by all means you can go with them. There are a number of companies that run ferries back and forth including Rottnest Express and Oceanic Cruises. It’s a good idea to shop around for your tickets though – some social clubs can get a discount. You have to pay more if you want to take your bike (which I would highly advise if you have a good bike) and if you want to take extra luggage along. Most of the ferries leave in Fremantle near the markets, although some leave in Perth and go up along the river. The Rottnest Island Ferries only take 15 – 25 minutes to get there, so its pretty quick. If you choose to, you can also be flown over in a plane. Obviously though it is much more expensive and frankly not really worth the money (unless you have money to spare!) In saying this, there is a lot to see and Rottnest from the air is quite cool. If you have a boat that is over 16 foot, consider driving that over because you can go to every bay that you want and you won’t have to swim as far if you choose to snorkel! Rottnest has a lot of history, which explains why there is a museum that you can look at, as well as many old bits and pieces. There is a train which will take you up a hill to where a massive gun can be found. As you can see, the shells that are fired are enormous. Tours and the train ride cost a few dollars each. In the centre of Rottnest, you can find a bakery which makes some very impressive food. Although it has gotten incredibly expensive over the last few years, you can’t leave Rotto without trying something at the bakery! There is also a general store, a few take away food stores and a playground and park to relax in. You are likely to encounter a Quokka at some stage; they run around everywhere. You are asked not to touch or feed them, but they are very friendly little balls of fur! The best part about Rotto is the different bays. Whether you are into scuba diving, snorkeling, fishing, and surfing or simply relaxing on a quiet beach, you will find something to meet your needs! Something I would highly recommend is jumping on the bus service, which runs around Rottnest Island all day long. You can purchase an all day ticket for about $12 dollars, and it is well spent. The ‘station’ can be found behind the bakery, near the public toilets. It’s a good idea to talk to the bus driver on the day that you go out, because they will know where the best bays are for that particular day. This is entirely dependent on where the wind is coming from, and they can show you where the calm bays are. 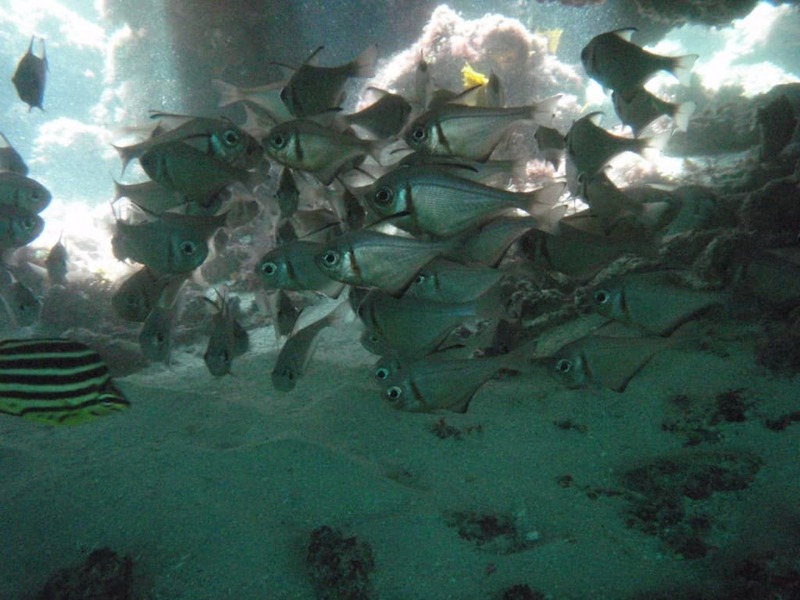 There are a few snorkeling trails located on the island, which you can follow around and read whilst underwater. 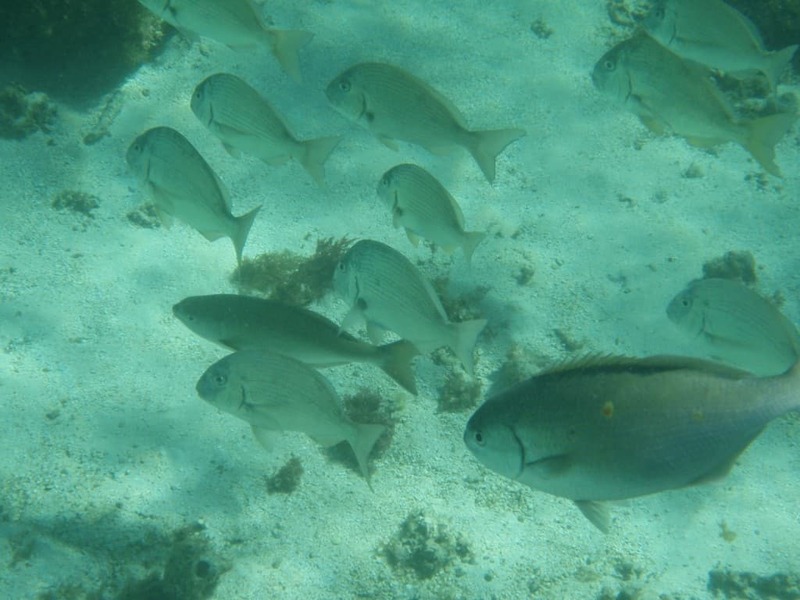 There are a huge number of fish and other wildlife to see, so swim around and have a look. Bear in mind the reefs are fragile, and standing on them can do immense damage. As you will see very quickly, the most common transport on the island is the humble push bike. There are only a few buses, and even less cars that are used on the island, so basically you either ride or catch the bus. Riding around the whole island can be done in about half a day, but be aware there are a lot of hills to climb up! If you have your own bike, you can put it on the ferry. Alternatively, you can hire a bike at the island, but they only have one gear and tend to be worse than most people’s bikes at home! If you do take your bike, make sure you give it a good wash when you get home because they will often get very salty. If you leave it for a few weeks, rust will start to occur on your bike! You can also hire a person to ride you around Rottnest Island, but it’s extremely expensive and only for those who really can’t be bothered! Personally, being someone who likes to take rods and snorkeling gear along, I love the bus. Sometimes it is crowded, but it beats struggling along on a bike with half a tonne of gear with you. 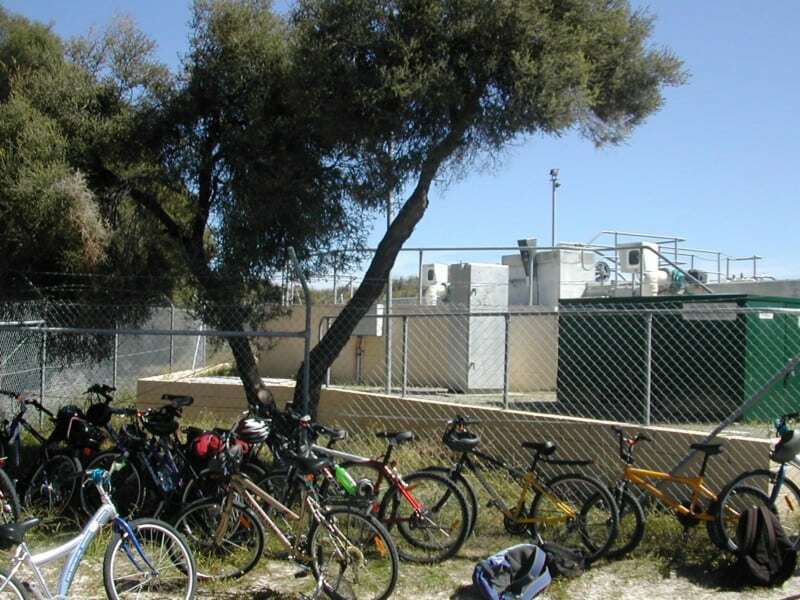 There are a number of tours that you can go on at Rottnest, or even to use to get to the island itself. 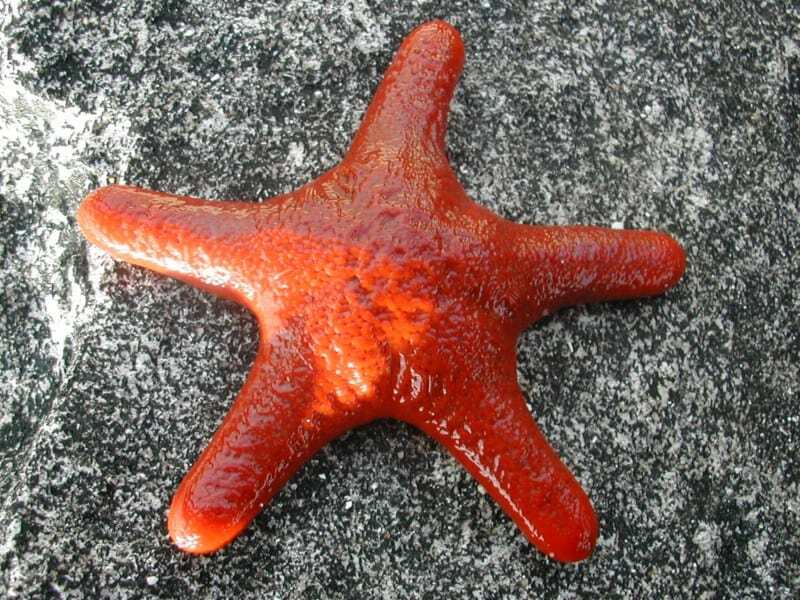 In Perth itself you can book snorkeling or scuba diving tours, which take you over to Rottnest, provide food and show you where the best diving spots, are. Of course these are more expensive than taking the ferry, but they are often worth it. If you swim out from the shore, you are limited by entry points, whereas in a boat you can jump in anywhere. The tours will usually drop you off on the island for a few hours to grab food as well if you want! 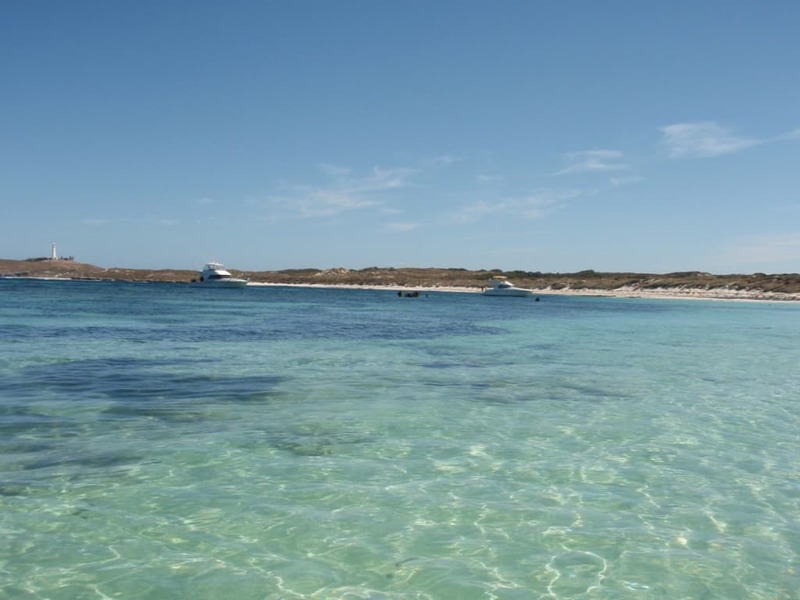 Like Lancelin, there are truly some awesome snorkeling spots at Rotto, but you need to go on a tour or have your own boat to find them! This is a very important point for those who want to travel to Rottnest Island in the last part of the year! Leavers is an event that happens each year, at the end of school exams. The whole Island is basically shut down to the public, and open only to leavers (who are 17 and 18 year olds). In 2009 the island is shut down in the last third of November, but the dates change from year to year depending on exam timetables. There are quite a few different units and cottages that look over the beach, as well as the barracks (small houses), a hotel and the Rottnest Lodge. I have only ever stayed at the barracks, which is located out of town and is a bit more secluded. It is close to the beach but not so convenient if you want to duck down to the shops, and it’s not like you can get in your car and drive down either! Due to the amazing fun you can have at Rottnest Island, there are often days where thousands of people will visit. Be aware of this, and pick your times. In saying this, you can usually find a peaceful part of a beach to relax in. Accommodation is usually more expensive during school holidays, and considerably busier. Make sure you book accommodation early, and also ferry trips. Don’t expect to arrive and purchase a ticket on the spot, because on a busy day the ferries will be full already. Rottnest Island has to be one of the best destinations that you can travel to for the day or even a short break. If you have been before, leave a comment about what you enjoyed most for others to see! Good points raised here, (well, what I could read of it). I suffer from color blindness (deuteranopia in my case). I mostly use Safari browser (unsure if that is important), and a lot of your webpage is a bit of a strain on my eyes. I know that it is not your problem really, but it would be kind if you would take into account color blind visitors when undertaking your next web page redesign.